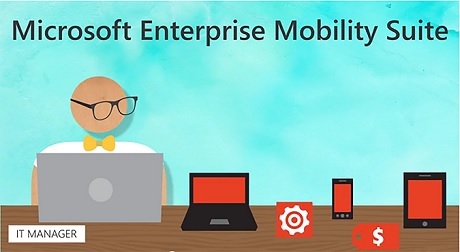 Microsoft Enterprise Mobility Suite (EMS) is a set of tools that are deeply integrated to provide you with all you need to administer, provision and secure the devices that are used in your enterprise. With EMS, you can manage smartphones, tablets, and laptops in a single system where you can also manage user credentials, applications and security from a single place. You can use in addition with Microsoft System Center, SaVision, SolarWinds and NexThink if there is a need. MDSC1 offers you enterprise management solutions such as Microsoft system center, actionable dashboards, IT management software and IT security for end users to help accelerate the growth of your business. Below are the plans that we sell. Click on "More Info" to view the plan details. If you are interested in buying a plan or you have questions then click here to send an email to us or you can manually send an email to khamid@mdsuae.ae and we will reply you shortly. The plan includes Azure Active Directory Premium P1, Intune, Azure Information Protection P1 and Advanced Threat Analytics. The plan includes Azure Active Directory Premium P2, Intune, Azure Information Protection P2, Advanced Threat Analytics and Cloud App Security.